Richard Fung shot “Orientations: Lesbians and Gay Asians” not as a documentary meant for mainstream audiences, but as a film intended to shed light on then-virtually unknown Asian-Canadian LGBT communities in the 1980s. More than 30 years later, the same film will bring him to a New York City stage, where he will receive the Center for Lesbian and Gay Studies' (CLAGS) Kessler Award. The CLAGS award, which will be given to Fung on Wednesday, Dec. 16, at the Graduate Center at City University of New York's Elebash Hall, is given annually to "a scholar who has, over a number of years, produced a substantive body of work that has had a significant influence on the field of LGBTQ Studies," according to CLAGS. Fung will also deliver a lecture as part of CLAGS' Kessler recognition on Wednesday after decades of films and video essays exploring LGBTQ issues. Since the release of “Orientations” in 1985, Fung’s work has unpacked everything from racial identities to sexuality, the prevalence of HIV/AIDS to immigration, and how those topics have defined LGBTQ and social movements through time. In an interview with NBC News, Fung said his childhood was a catalyst for many of his films prior to his move to Toronto in 1970. His family’s status as Chinese-Trinidadians in a highly multicultural and multiracial country saw the Fungs navigating a society with different opportunities depending on one’s race. But as a child during Trinidad and Tobago’s period of independence and the rise of the Black Power Movement, the island’s history profoundly influenced Fung’s sense of identity. At that point, Fung’s childhood contrasted with that of his mother’s, a multi-generational Chinese-Trinidadian whose family had long been on the island. This juxtaposition between colonial and local, or rather the perspective of outsiders versus the true island culture, made its way into many parts of Trinidadian life. The difference was particularly prominent during the 1960s as television gradually made its way into Trinidadian households. For Fung, the Hollywood images of the Caribbean were representative of an outside perspective attempting to look in. Fung said his experiences with Western media while in Trinidad shaped his eventual work and motivated him to center his work around the audiences he aims to represent. From documentaries like “Orientations” to “My Mother’s Place,” which details his own mother’s upbringing, Fung delivers his films straight to the audience, whether his main target is LGBTQ or minorities looking to make their way into new communities. To make his point, Fung raises his film “Dirty Laundry” as an example. Many of these difficult questions and concepts were raised when Fung first tackled “Orientations” and offered a glimpse into the lives of Toronto’s LGBTQ communities. As co-founder of Gay Asians of Toronto, his work convinced him to incorporate the views of LGBTQ Asians, a group that many believe even today still lacks a certain visibility within LGBTQ communities. “I was interested in the political work of making films because I was a co-founder of Gay Asians of Toronto back in 1980, and ‘Orientations’ was really meant as a kind of consciousness raising, too. It was almost by accident that it was picked up for a couple of film seminars and then began to circulate, and that was a bit of a surprise to me," he said. Many issues affecting Asian LGBTQ remained unaddressed, Fung observed, which pushed him to break down the impact of the disease in Asian communities. After "Orientations," Fung released documentaries like “Sea In The Blood” and “Fighting Chance,” both of which address the presence of HIV/AIDS in the 1980s and 1990s. 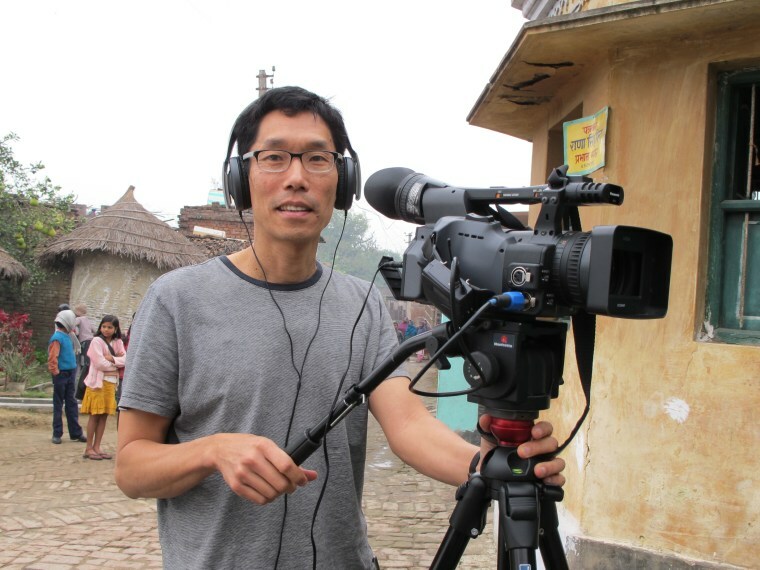 While much of Fung’s work with LGBTQ Asians is centered in the '80s and '90s, the filmmaker is set to revisit and revise his first work, “Orientations.” A follow up to the documentary is currently in the works and Fung has revealed that a few of his old subjects for “Orientations” have made a return. But this time a handful of the younger generation has joined, offering a comparison and documentation of Asian LGBTQ communities today. In Fung’s eyes, some things have remained the same with new challenges. Today’s digital age offers younger LGBTQ Asians the chance to express their identities online through avenues like social media, but the same outlets have also opened new channels for less friendly waters. “Growing up...I was very much aware of looking in as if you're kind of looking through a window into this world, a window from the outside looking into a living room." This sense of place can often be hard to define, as LGBTQ movements and communities themselves are more transnational than ever before, according to Fung. The shift in battles have fascinated him in the follow up to “Orientations,” as the fight for gay rights has transitioned into a more legal and rights-based conflict. Those points are among some of the topics Fung is preparing ahead of Wednesday when he receives the Kessler Award. Fung added that he never imagined he would receive such recognition for his work in what began as an earnest exploration and a quest for visibility for Toronto’s LGBT community.